Dec 1 · Last update 2 mo. ago. What can urban citizens do to help combat soil degradation? One third of the world’s soils are thought to be degraded due to soil pollution and aggressive agriculture or mining techniques, leading one UN official to speculate that humanity only has 60 years of sustainable agriculture left. With a continually growing global population the prospect of future soils being unable to produce enough food to sustain a larger population is seeming like a growing possibility. However food is the beginning of a long list of wide ranging implications that make soil degradation seem like a much more pressing environmental issue than even climate change. But with the majority of the human populous living in urban areas it is understandable that most would feel powerless to have any impact on this particular problem. So, with that in mind, what can urban citizens do to mitigate the damage to soil caused by agriculture, mining and soil pollution? 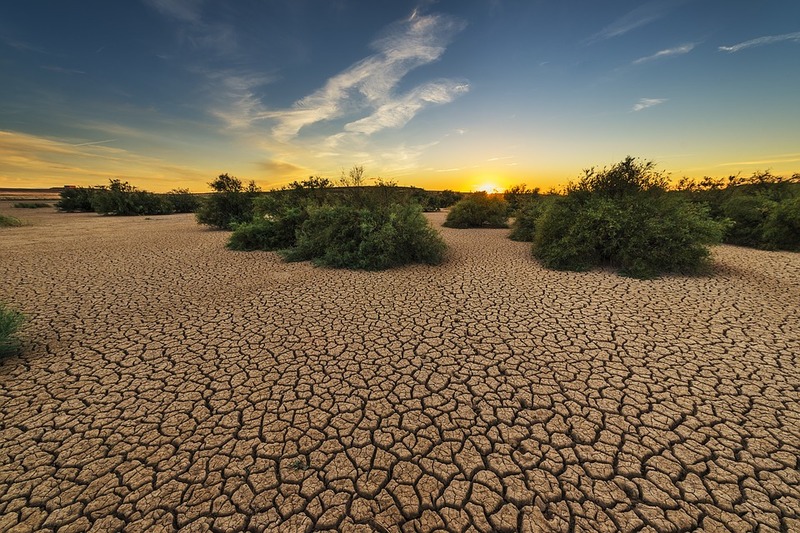 The problem of soil degradation is unavoidably linked to climate change, with the gradual degradation of soil eventually leading to desertification, habitat loss and less carbon being removed from the atmosphere due to less plant coverage. Ecologist and environmentalist Allan Savory has devised a method to mimic nature in an effort to save agriculture and the world’s soil from degradation and eventual desertification. Savory found that allowing controlled livestock grazing in combination with arable farming helped to rapidly replenish both the nutrient and moisture content of soils, and could even help reverse the effect of desertification and soil degradation. The ideal solution for the Earth’s soils is to allow them to lie fallow and let nature take its course and the lifecycles to continue unaffected by human activity. The obvious problem is the soon to be ten billion plus human population that needs feeding; however there may be technological solutions that allow both to become a reality. Soil free growing techniques have long been utilised in the form of hydroponic systems, but new innovations in soil free farming techniques could remove some of the downsides of this method. Japanese chemical physicist Yuichi Mori has developed a polymer film growing medium that could save the world's soil and water, needing no soil and 90% less water to grow plants, investing and funding such research might be the only way to fight these massive environmental issues. Tilling or ploughing is the digging and overturning of soil in order to minimise weeds, predators, disease and nutrient deficiency, however overturning the soil also leads to moisture, and beneficial bacteria and fungi loss, making the soil less healthy and prone to soil erosion. No till gardening/farming is a more natural way to grow food allowing soil to be stably built up over time by adding nutrient rich compost but without disturbing beneficial microorganisms in the soil. While it may not solve the problem outright it could lead to some healthier soils in urban areas, and the use of social media to raise awareness of this method could help it in becoming so widespread it grows to be a ubiquitous agricultural technique. Admittedly any action to be taken to mitigate such a wide spread global problem would inevitably come down to the controllers of the world’s nations. Writing to the government, protesting, or starting a local petition to pressure a government and raise awareness are all forms of direct action that could draw attention to this matter. Some governments are already beginning to address the issue, and other issues linked to it, for example Paraguay’s 2004 Zero Deforestation Law, making it illegal to clear forested land and leading to a 90% decrease in deforestation. Conservation agriculture is the concept of using specialised techniques and saving resources to minimise the negative impact of agriculture on the environment while balancing this with usable farming techniques. One such method is no till farming, a technique of repeatedly growing crops without tilling, ploughing or turning over the soil, helping soil retain moisture, important organic matter including beneficial microorganisms, and reducing soil erosion. This will actively sponsor an industry around the combating and slowing of soil degradation, allowing methods of conservation agriculture to become commonplace, and saving soils and the environment simultaneously. Aggressive farming practices such as the use of agrochemicals, multiple harvest farming and even basic farming techniques such as tilling (turning over the soil) degrade nutrient quality and microorganism biodiversity so that soil cannot hold water or sustain plant life. Unfortunately the remedy for such problems for many farmers is further use of agrochemicals, intensifying the problem. Something as simple as buying organic food can mean a city dweller is less likely to be sponsoring the use of unsustainable farming practices, as organic farms at least have limits to using chemicals and will be more likely to invest in natural fertilisers.